Welcome to Marlo’s Rottweilers. 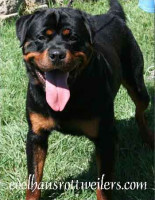 My name is Marlene and I am a code of ethics breeder who occasionally has Rottweiler puppies available. 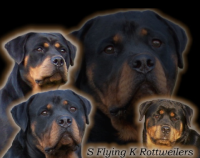 I have been breeding Rottweilers of sound mind and body since 1976 and temperament and breed type are the hallmark of my breeding program. My dogs serve as my business card and I have welcomed back many of my puppy owners over my many years for their second, third, fourth, fifth, sixth, seventh, eighth and even ninth puppy.